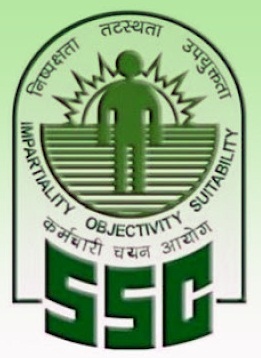 Staff Selection Commission(SSC) conducts Mains exam in CGL and CPO exams. But, before we go further discussions I would like to discuss the pattern of CGL Mains and CPO Mains exams. Note: The pattern of Tier1 or Pre-exam remains the same for both CGL and CPO exams. Click here to know the pattern of paper-1 of SSC exams. Quantitative Aptitude Test: It is an objective type test in which 100 questions of 200 marks are to be attempted in 2 hours of time. There is also Negative marking of 0.5 mark for each wrong answer.Syllabus of this exam remains the same as it was in Tier1 or Pre-exam. English Language and Comprehension: It is also an objective type test in which 200 questions of 200 marks are to be attempted in 2 hours of time. There is also Negative marking of 0.25 mark for each wrong answer. Syllabus of this exam changes slightly different as Active/Passive Voice, Narration and Close Test are also added in the Mains of CPO and CGL Exams. In CPO exams, there is only 1 paper of English Comprehension similar to the CGL English language and Comprehension paper. But, in CPO, the procedure is different from CGL exams as there is Physical Test/Medical Examination for the Tier1 qualified students. As per the notice, Only those candidates who secure qualifying marks in Paper I of the written examination, as may be fixed by the Commission at their discretion, will be shortlisted for Physical Endurance Test (PET)/ PST and medical test. Paper-II of shortlisted candidates who qualify in PST/PET will only be evaluated. Candidates will be called for Interview based on their combined performance in Paper-I and Paper-II. - Quantitative Aptitude: The questions will be designed to test the ability sense of the candidate. The scope of the test will be computation of whole numbers, decimals, fractions and relationships between numbers, Percentage, Ratio and Proportion, Square roots, Averages, Interest, Profit & Loss, Discount, Partnership Business, Mixture and Allegation, Time and distance, Time & work, Basic algebraic identities of School Algebra and Elementary surds, Graphs of Linear Equations, Triangle and its various kinds of centers, Congruence and similarity of triangles, Circle and its chords, tangents, angles subtended by chords of a circle, common tangents to two or more circles, Triangle, Quadrilaterals, Regular Polygons, Circle, Right Prism, Right Circular Cone, Right Circular Cylinder, Sphere, Hemispheres, Rectangular Parallelepiped, Regular Right Pyramid with triangular or square base, Trigonometric ratio, Degree and Radian Measures, Standard Identities, Complementary angles, Heights and Distances, Histogram, Frequency polygon, Bar diagram & Pie chart. - English Language and Comprehension: Questions in this components will be asked from error recognition, filling in the blanks (using verbs, preposition, articles etc), Vocabulary, Spellings, Grammar, Sentence Structure, Synonyms, Antonyms, Sentence Completion, Phrases and Idiomatic use of Words, comprehension, Active-Passive Voice, Narration, Close Test, and Comprehension. Note: The syllabus and pattern of English language and comprehension test is same for CGL and CPO exams. - If you have scored good marks in Tier-1 exam, you must have worked hard on Quantitative section. This gives an edge to the aspirants over the others who have prepared and stressed on Quantitative and English language sections to score in Pre-exam. But, this does not mean the lower scorer can't clear Mains. You, first note that Mains exam always remain a game changer. You can also perform better than the high scorers of Pre-exam, if prepared well and followed the concepts. You should also know in which section you failed to score. and why you scored low or speed and accuracy while attempting the questions so that you can prepare your strategy accordingly. For Example: If you failed in attempting few questions of different topics of Quantitative Aptitude section, you should figure it out and again read the concepts from the base so that you can understand it properly and then, practice more and different level of questions to get over from your weak points. - Devote at least 2-3 hours on your weak topics and practice them, when your Pre-exam gets over and you know that you qualify it. In English Language Test, You must required to study Active-Passive Voice, Narration, Comprehension, and More Vocabulary because these topics in this test weigh more marks and can clear this test with better score. - English Language paper preparation requires more time and devotion as it demands more and better understanding of English rules and topics, compared to Quantitative Test. So, spend at least 2-3 hours daily with 15-20 minutes on vocabulary. For Vocabulary, one should first stick to SSC last 10 years papers. Kiran's Publication Quickest Mathematics: This book covers detailed and concepts of each and every topics of Quantitative Aptitude syllabus with questions based on the concepts explained. So, if you are weak in cocepts, you can follow this book. Kiran's Publication Elementary and Advanced Maths: This book gives good for advance maths topics like Geomtery, Trigonometry and Mensuration. Advanced Maths by Rakesh Yadav: This book is published by Paramount Coaching Center. In this, you will find only advanced maths topics and pratice question with different levels from 1 to 3. There is another book in comparison to this Lucent Advanced Mathematics for Competitive exams. Tier-II Mock Test from Paramount: There are 20 sets each with 100 questions and level of these questions are good and also sharp your concepts. You can practice in Time bound, so that you can attempt questions with better accuracy and speed in exam. General Objective English by SP Bakshi: This books is published by Arihant publications, specifies each chapter of English Language with detailed concepts and Practice exercise is also given. Mirrors of Common Errors: This book is good for finding errors section asked in the exams. Plinth to Paramount by Neetu Singh: This book is from Paramount Coaching Centers and based on the SSC exam patterns. Made Easy Word Power: Required to practice and make good Vocabulary for the exams. Paper back by MB Publications: It covers all SSC English papers, you can practice them. Kiran's English Practice book: It has sorted the topics of English chapter-wise and previous year questions are given to practice them. Safe Score to clear SSC exams. Strategy to attempt SSC questions in Exam. Comments "How to prepare for Mains of SSC Exams"